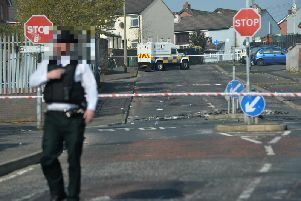 A 24-year-old man is due in court in Belfast on Friday in connection with two attempted hijackings on Wednesday. A man was struck by a car as he attempted to take the keys from a van driver on the Falls Road around 4.30pm. A short time earlier the same person is believed to have struck an elderly woman in the face in a failed attempt to steal her car in the Cavendish Square area. The suspect has been charged with attempted hijacking and assault on police.